Working with wood requires some basic knowledge about the material one is dealing with. Different types of wood behave differently, stain differently and so on. These posts provide some tips on a few of the varieties of wood available in India. Readers' queries on wood are listed at the bottom of this page. Meranti is generally not better or more stable than Ivory Coast Teak. But if properly dried Meranti can be a very good timber for door and window frame construction. Problem is there are many grades of Meranti and you need to know if you are getting a good grade. As for Sheesham, I have six or seven eight feet long planks drying in my workshop. Plan to get more from Hissar where a friend claims they get good quality Nepali Sheesham. Its an excellent wood, a bit difficult to work but favoured by exporters of traditional furniture based in the Marwar area of Rajasthan (JhunJhunu etc.). I have alas not heard of any online seller of wood in India. Let me know if you find one. I guess lot of the SPF is being used for furniture in India. 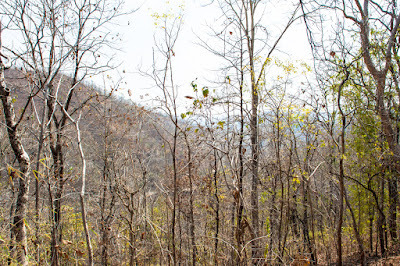 These woods are quite unsuitable for outdoor work in an Indian situation. In wall construction the lumber used is protected by the siding and vapor barrier etc. The exposed wood used needs very elaborate techniques and materials while installing and needs quite rigorous yearly maintenance schedule. Homes in the west need as much attention as one pays to a child. I think it is unlikely that they will succeed in exterior woodwork in India as the techniques and materials used to keep it from getting damaged by elements is not available in India and if it is is simply not practical as people are not used to such rigorous maintenance schedule for homes. Ceder though is quite suitable for outdoor use but tends to warp if used in thinner cross-sections. Maple comes in hard and soft varieties. Heat treated lumber is quite costly in US and availability is low though Heat treatment is used more in Europe. I feel sad that many exporters from India make bad quality teak furniture for use in US and Europe. The quality of this kind of furniture is pathetic and the consumer and business consider teak as fit for rough and cheap outdoor furniture. Even indoor furniture made with teak is for some reason usually of the heavy and rustic type usually with artificial dings, scratches etc. I think the the Govt should reduce duties on import of lumber and increase duties on export. SPF is not used a lot of furniture making or for exterior work. I suspect it is mainly used for partitions, light frames and so on - perhaps as a substitute for Meranti. I personally find Spruce with its long grain a good substitute for plywood in making the inside of drawers. The wood is remarkably stable, light but strong and its white exterior contrasts well when used with a darker wood for the front face. Yes, a lot of furniture made here in India is pretty pathetic but I have come across some incredibly good furniture as well. I would request you to please help me with names of some wood working companies dealing with softwood. I have not been able to identify any softwood end user , manufacturing furniture / doors / windows from secondary resources. Kanika: A number of Indian companies are using softwood like Pine for making furniture, doors and so on. I cannot however point you to any specific company as I am not personally familiar with any. However, you could get all the information you require if you visit Nangloi in Delhi. This place has many large lumber yards dealing with softwood, particularly Pine and Spruce. They could tell you who is using their wood. There are also a few shops selling softwood in Kirti Nagar were you might get the information you need. Best wishes. Where do you buy rubber wood boards? Are they sold in the plywood/glass shops? Sridhar: In Delhi and its suburbs rubber wood boards are available at most shops that stock plywood and natural wood. The smaller stockists do not always keep them; you might have to search a bit but it should not be difficult to find. 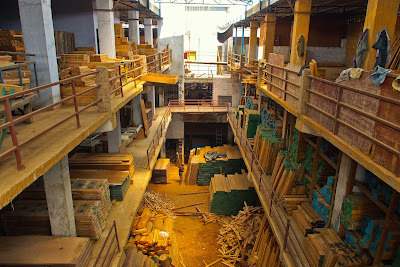 Here in Bangalore, I find that stores are of two main types: the first are those that stock block boards, plywood and glass and second are the "timber depots" (those that stock natural wood sold in cubic feet). I always find that the bigger shops do not care much for us hobby woodworkers who buy a couple of boards at a time compared to the big customers who take away wood for a house construction but I will use your advice and go to one of the bigger shops and ask for the rubber wood boards. Sridhar: Unfortunately you are quite right about the poor attitude of most timber stockists in India; they do not seem to realise that the small buyer eventually buys a lot. As for rubber wood try this website for dealer information: http://rubberboard.org.in. They have a page with the list of dealers in different cities across the country. Thanks Indranil! I found one store here selling 3/4th inch rubber wood board at Rs. 120 per sqft. Is that a comparable figure to what you have paid? I think that is quite steep compared to good quality marine ply. Please correct me if I am wrong. I don't want to get taken for a ride at this store. That's definitely around the same price. Thanks for the prompt response! I agree with you about the finishing - I have an imported dining table made of a finished rubber wood top and it looks really nice. I envy you in Delhi with so many wood buying options. I am right now in Coonoor and visited Sim's park and the Botanical gardens in Ooty and saw for the first time trees that were documented to be more than 130 years old. This makes me value wood much more and also makes me want to conserve wood and be careful with its use just like water and electricity. Vinay: I share your sentiments totally on the value of trees. 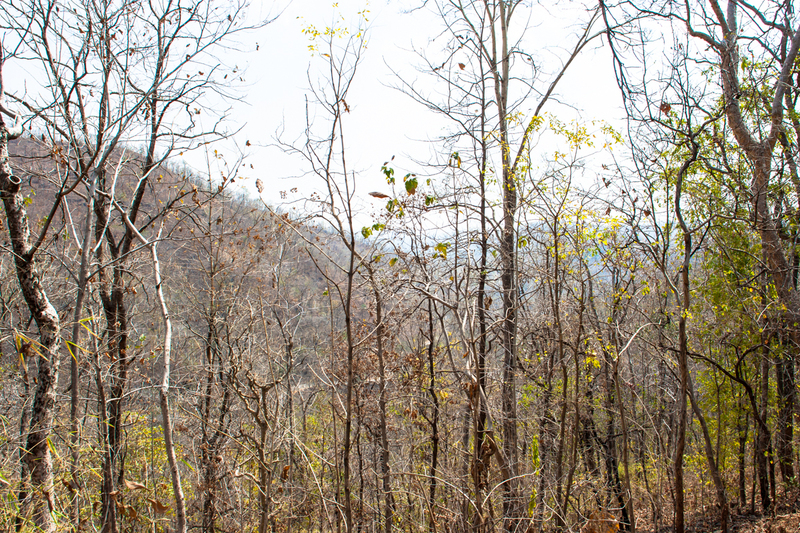 We have squandered our precious resource and despite having thousands and thousands of wasteland have not been able to develop our forestry resource. Also, trees like humans must ultimately die and what better way to preserve their memory than to take their wood and craft something beautiful with it. I had worked with a seemingly similar wood [toon or Bengal Mahogany], early last year, in my first ever attempt at wood working. I was looking for cheap wood and was guided to a saw mill that deals in "naatu maram"(Tamil - loosely translated to 'country wood') where I found this. The description above closely matches what I had observed. Although planing this wood was not easy, working was quite easy. With barely a few hand tools (other than a power drill) and a multipurpose saw, I was able to make what I had mentally visualized - a crib for my daughter. I too came across the wood very similar to Solomon's. Here it comes under the category called arcot, which in local tongue means local species. It was my desire to start my first woodworking project as to build a woodworking bench. As I am just a novice and ventured into local lumber yard, I came across something they called "Mahogany". I was quoted a relatively lesser price(750 per cft). I brought few lumbers like 4"X4" 2 7ft for making legs and 3 piece 7 ftX 8 " with 1-1/2" thick for making top. My desired dimension was 6X2 for top and base with 4X2 for base. I brought few pieces for support as well. In my surprise I found these lumber are not immediately usable and needs seasoning. I placed them in roof for few months, exposed to sun and also exposed to rain without. Recently I found cracks are formed and so I decided to take them into my room. With the information you provided here I can infer probably I have brought these species of wood "Toona ciliata".I will provide the pics of these lumbers to you.Is there a way I can fill these cracks?What is the standard method of seasoning if the woods provided are not dry. It is a nice wood to work when dry but it is soft and may not be the best choice for a hard workbench top. As for drying, air drying is fine but the wood should not be kept in the open; it should be in a covered area, stacked and separated by small pieces of sticks allowing air to freely circulate between the boards. Give it six months to properly dry out before using. Cracks are checks if emanating from the end and should be avoided. Small cracks along the length of the wood are acceptable and could be filled up by various fillers at the finishing stage. Mayank 29 September, 2015Could you please tell me some timber shops in Delhi? I live near Connaught Place. I don't need anything in bulk. Just 3-4 CFT. of soft wood. Maybe pine or ash. It looks like Pine. What is difference between pine and cedar ? I am always confuse. I have never seen any cedar wood while I have many pine species in my scraps. I like its texture, grains even knots. Best of luck for a new project. Eager to see what will come out of it. Indranil Banerjie 29 September, 2015Thanks Mayank. I suggest you go to Kirti Nagar timber market. You can buy as little as you want and can get it cut to the size you want. As for Pine versus Yellow Cedar, the wood of the two are very different. Perhaps the photographs do not show the wood very well. One big difference between Pine and yellow Cedar is that Pine has these very prominent growth lines which are alternately hard and soft while Cedar is very uniform and very very smooth once planed. In all it is a much nicer wood to work than Pine. The colour too is very different although I must add that I have never seen any type of Southern Yellow Pine (SYP) and could not tell how yellow Cedar is by comparison. Yes, I too am looking forward to seeing how it turns out. Let's hope everything goes smoothly but one can never tell. Last weekend I was hopping around 10 lumber yards in southern kolkata suburbs for a whole day, and was talking to the owners. They showed and recommended me to use Carpur (Camphor) wood. They charge something like 1400-1600 cft. Also observed most of them are keeping woods from malaysia like karpur, saal etc, for an alternative to pricey one like teak. Kingshuk, Kapur is pretty popular in these parts as well, again more for making door/wondow frames. But it is a very sturdy wood. The price sounds fine too. Pick it up. I see a lot of projects (sorry make that good projects) that are shown on this blog that are made of rubber wood. What are the advantages and/or disadvantages of working with rubber wood. Second how is rubber wood sold, in strips or sheets like plywood. Now that I've read what I have written, this I know sounds silly. But please bear with me. Any help will be great fully accepted. Just to add to the chorus of high praise for this blog, Mr. Banerjee Sir, please add my voice. Umaji: Will try to answer your questions best I can but cannot vouch for authenticity of my views. 1. The biggest advantage of rubberwood boards is that they come pre-dimensioned like plywood. They do not require any planing etc. Unlike plywood, rubberwood sufrace is excellent and does not require veneer, laminates or edge banding as does plywood. Two disadvantages: Rubberwood board comes in large sheets like plywood - usually 4 by 8 feet sheets - and are not ideal for making legs and frames; rubberwood boards do not stain as well as regular wood (they tend to blotch as small separate pieces of rubberwood pieces are finger jointed to make a single sheet/board). Recently I was at a local Plywood store (Bangalore) in hunt for pine boards and found rubber-wood sheets, readied together with finger-joints like a plywood sheet. No luck with pine yet, but these rubber-wood kind of appealed to me except their cost. The sheet I saw were 8'x4' and about 1" thick. I was quoted Rs.4k/sheet. Indranilji, please tell me if rubber-wood is as easy to work with using the woodworking powertools and hand-tools? I love the grain texture they exhibit, but I'm a bit skeptical as I don't know what difficulities lies ahead trying to woodwork it. Please share your experience. Skyfish: I use rubber-wod sheets all the time -usually the 19mm thick ones. 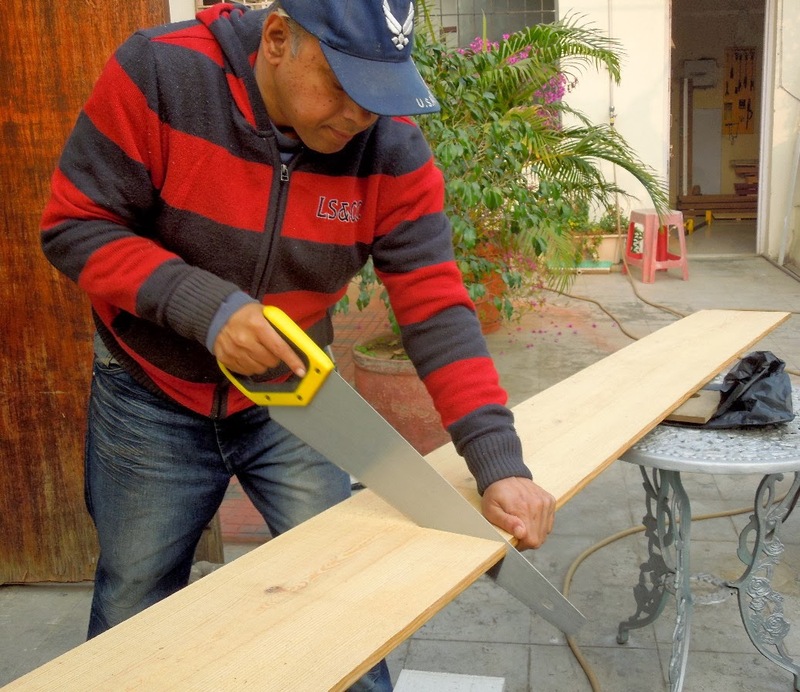 Rubber-wood is easy to work and should present no problems with either power or hand tools. It will take a very nice polish too if you are careful to stain it correctly. Hello Sir - I am working on my first workbench and have finished building the carcass. I used sal wood (bought 50+ kg of 4x2 and 2x2) for the same and sized for a 5ft x 4ft bench with 30" legs. The legs are 4x2, and the upper/lower/diagonal stretchers are 2x2 or 2x1. I consumed almost all of the wood in this manner. Sal wood is incredibly heavy and proved difficult to drill/hand cut/hand screw.Luckily I had the circular saw and drill driver by my side. Now I am searching for a proper top for the bench - would 1" ply be a good choice? or should I look for something else? Could you please help with your opinion on the same? Ideally the top should be 75mm thick made form a stable material that will not warp or move with changes in humidity etc. Most importantly it should be flat . Remember wood prep starts on the work bench . Any short comings in your work bench will make it dificcult or nearly impossible to to prepare staright flat lumber . Alternatively you can go with a honeycomb structure made from 12 mm mdf , spcae at 200mm pitch and skinned on both sides with 19mm mdf with a 12mm wood skin on the working face . Light but extremely strong. Only catch it must be bult on an absolutely flat surface. which is the best wood for turning? Akshay: Can't really tell as I have no experience with turning. 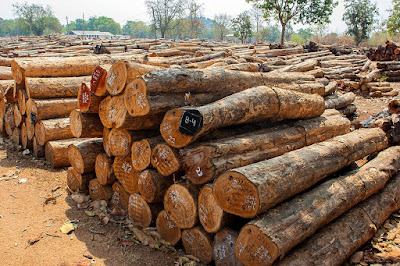 Mr.Indranil, what is the cost per cubic foot of pine wood in india? Also the cost per cubic foot of blue gum? Never heard of blue gum! As for Pine there are many varieties and types; prices vary between Rs 550 and 900 per cft. Mr. Indranil .... how is Pine wood normally sold ? As sheets (like plywood) or as planks ? Assuming it is a sheet of 8' x 4' x 3/4", the cubic feet will work out to 8 x 4 x 0.063 = 2 cu. ft, right ? So, that would cost Rs.1100 at the lowest. I would appreciate it if you could apprise me of the normal sizes available. Hopefully, I can find them in Bangalore. Thanks in advance. Vinod, Pine is never sold as sheets but as planks of various sizes or large sleepers. There is no "normal size"; check with your local wood shops. As for cubic feet calculation the formula is: height in inches into width in inches into length in inches divided by 1728. Your calculation is correct. Thanks a lot Indranil for giving me those insights regarding pine. My 'attraction' towards pine is more so due to it's light color. Would rubber wood be an alternative for pine ? I have no big projects in mind but would like to fabricate some tool boxes and the sort. I have visited a lumber market close to home and the only pine they have is the planks from boxes / cartons discarded by factories. They are sold at Rs. 45 per Kg. I suppose the quality of this pine may not be good. Vinod, rubber wood sheets would certainly be a good substitute as you would not have to plane it. However, rubber wood is exdpensive. I suggest you start experimenting with cheap pine planks. The quality of pallet pine is quite acceptable if you are not thinking of making fine furntiure right now. Thank you for the advice Indranil and yes, I will start off with pine planks as suggested. Just one clarification ..... will an orbital sander do a 'decent' job of smoothening the surface of pine planks ? Wishing you and your family a Happy Diwali. Many thanks Vinod and Happy Diwali to you and your family too. As for a sander, spend a little more and get a random orbital sander. You won't regret it. Best of luck. Indranil, I refer to your advice .... "As for a sander, spend a little more and get a random orbital sander". What a coincidence .... I had just placed an order on Ebay for the 'Bosch - Skil F015.733.5JD 3.62 inch Random Orbital Sander' . I think it should be good enough for my amateur woodwork. I want to build an aquarium stand. I am planning to use 2x4 wood planks. What wood would be best? It should be cheap ones also. There is going to be really heavy load on the wood. Could you give some suggestions? I am from kerala. Use solid Rubber Wood; it is very strong and there should be plenty of it in Kerala. Hi Indranil! Great blog. I had a question if you don't mind. I live in West Delhi (Kirti Nagar) right next to the wood and furniture market but I just wanted to get the opinion of an experienced woodoworker rather than leaving myself at the mercy of the dealers who may take advantage of my relative ignorance in this subject. Jasjit, you are lucky to be living in Kirti Nagar; you can just stroll by and get great wood! I suggest you get hold of decent Pine. Most stuff that sells as Pine is very poor quality so be warned. But there are some shops that sell good quality Pine at about Rs 750 a cft. Ask for US Pine or Southern Yellow Pine. Great wood to work with and relatively cheap. Avoid Meranti, champ and other easily available species. Best of luck. One more thing if you don't mind. I've read on your blog and on various websites that Pine is notoriously quite difficult to finish without getting a blotchy result. Would it be better to lay down a coat of wood conditioner and then apply an oil-based finish like Danish oil or Tung oil? Also, is wood conditioner the same thing as primer? Thank you! Wood conditioner and primer and two very different things. The former is used to block the very porous parts of wood before a stain is applied. No wood conditioner is required if stain is not going to be applied. 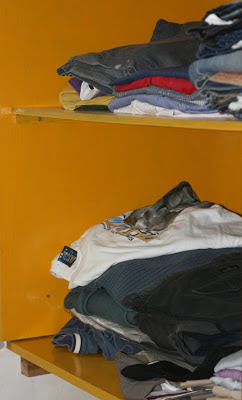 Typically oil based finish are applied directly over wood without any stain so wood conditioner would not be required. Spruce should do just fine and as for finish try a polyurethane. For a quick job use a water based one (MRF, Asian Paints, ICI and so on) or try a 2-part poly which is even better. Check out my blogs on finishing. Thanks, will do. Sorry about the barrage of questions but you're like the oasis in a barren desert of India's online woodworking presence haha. One last thing. As you've noted before on your blog, if I go as a hobbyist and ask questions instead of telling lumber vendors exactly what I want, they all but usher me out. I basically need a lot of cheap local timber planks or boards, practically scrap for odds and ends, making jigs, practising and makeshift miscellaneous items around the workshop. I'm not quite sure what to tell the vendors, what type(s) of wood I should tell them I'm looking for. If I try to explain, or even hesitate, they hurriedly shove a business card in my hand and tell me to ask at the next shop. Jasjit, you flatter me! SPF (Spruce-Pine_Fir) are the cheapest in the market, ranging from Rs 400 to 750 a cubic feet. 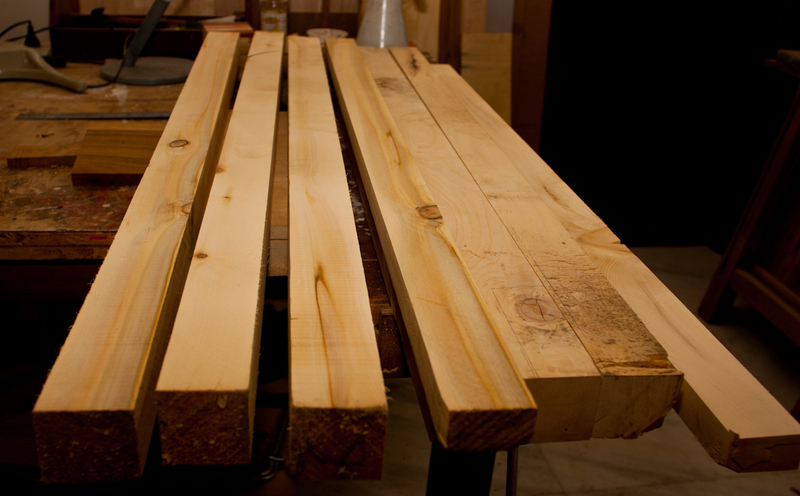 Good quality Pine or Spruce should work for starters. But beware there is a lot of very poor quality SPF going around (mainly used for batons in interiror work) and getting this would frustrate your early attempts. If you are ready to spend a little more try Ash which you would get for between Rs 1200 and 1400 per cft. You could experiment with Rubberwood sheets too. Meranti is available relatively cheap but again it is mainly for structural work and so is Saal. I am new to this website. I started reading with this blog to understand Wood types. 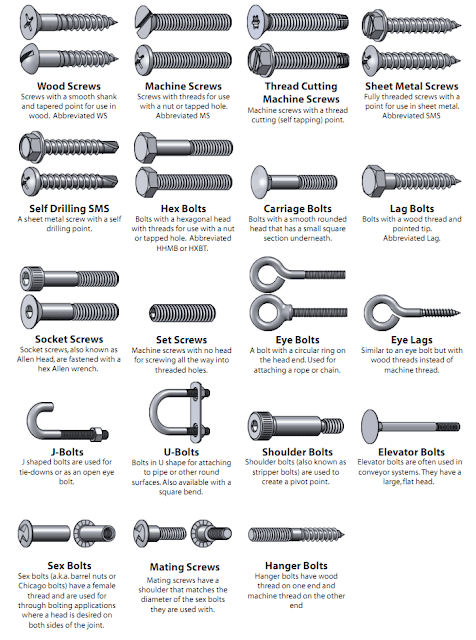 Appreciate your patience in providing answers to so many woodworking enthusiast. I am based out of Delhi and like to do some woodworking at home during weekend. I have built some jewellery boxes using teak margins and also built a room partition stand using some wood (dnt know the name) blocks. Need your advise on building similar home projects. Which wood should I start with ? I have power tools(jigsaw). Can you please advise on list of tools one should have as a beginner. Will go through all your blogs to get more information on woodworking. I have around 85 silver Oak trees in my Land and would like to know if this wood can be used for furniture? Yes, but only after proper drying. A lot of questions... :) what thickness is ok for drawer cabinet making... will 1 inch thick wood make it too heavy? are wood planks available in 3/4 inch thickness in bangalore? 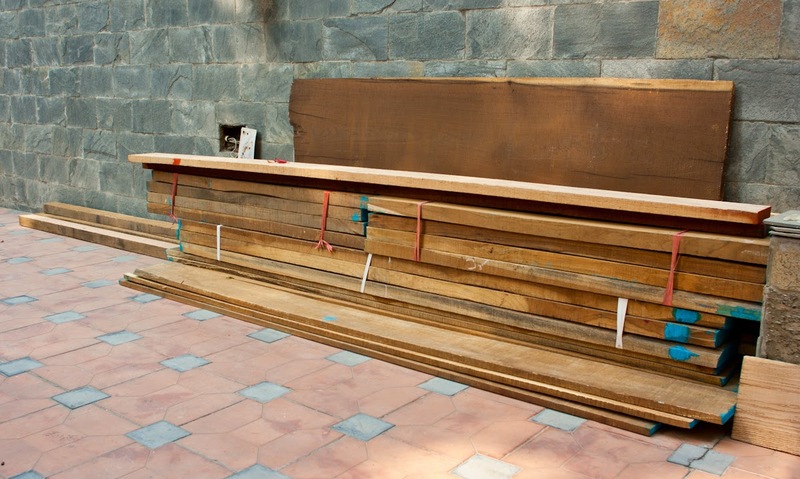 where to fine good pine wood planks in bangalore? Kulwant, I can't help you about wood in Bangalore but I believe there is some place called Mysore Road where a lot of timber is sold. One inch thick would be fine for a large cabinet with drawers or chest of drawers. For a small one three quarters of an inch might be more appropriate. Hi Indranil, I want to make a raised bed vegetable garden, for which I need to use wood frame. The wood should withstand termites at the same time should not be expensive. One carpenter told me Silver wood is best , deal wood is another option but not termite resistant. Do you have any recommendation for wood used for garden projects? Jismy, I am not familiar with either Silver wood or deal. I think you should use the cheapest wood available and change the planks when they rot. Even wood classified as perishable should last for a few years. Else use Teak which is very durable and resistant to pests, fungus and so on. Neem is another option in most parts of India. Use the heartwood and avoid sapwood. I guess he is referring to Silver Oak or Grevillea robusta the local carpenters call them as Silver wood. Sir made the drawer chest frame and top with teak. what wood to use to make inside of drawer, pine is susceptible to power insect and teak is available in 1.5 inches thickness, thinking it will be waste of money. Can rubber wood finger joint boards be used and stained to match teak frame.. is it advisable to stain teak to give dark walnut look. Finger jointed rubber wood boards are fine for making the interior of drawers (ie the sides, back and bottom); front should be of same Teak with which rest of the chest of drawers has been made. Avoid staining Teak a walnut colour. Teak has its own unique colour and if you have spent good money to purchase Teak why disguise it to look like something else? Dosn't make sense. If you wanted a walnut colur, you should have used some other cheaper wood. I want to make 2 outdoor pillars 10ft high. What would would be good for this? I would ideally like to buy logs/cylinders, turn them and get it machined for figurines on the sides. Will than cap it with carved capitals. What would be a good, cheap variety to use? Want it to last in outdoor weather conditions of Bangalore. Any recommended treatment of wood pre or post machining? Looking to build outdoor pillars 10ft in Bangalore. Will turn them on a lathe, machine figurines on the sides and top it with carved capital blocks. Recommendations needed for wood and treatments to last outdoors. I am not too clued up on durable wood varieties. However, have heard that durable pressure treated timber is available these days - you have to ask around Bangalore. Try posting your question on diyable.net, you should get some pointers. I am a little unsure about the prices - wood vs. ply. I was under the impression that ply is cheaper, but if I use any well known brand such as Green Ply, then then its about Rs. 121/sq.ft. in any case, even for commercial ply. Check out prices at www.buyply.in. Forget things such as BWP/BWR and all that. I don't get it - what's the point? It looks like ply is just as expensive as wood, plus flexibility is lesser (you cannot do carvings, contours and things like that) and you preferably need power tools. What am I missing? You touch upon a big issue. This is a subject worthy of a blog post. But very briefly, its not wood verss plywood. It all depends on the nature of the project. Dear All, I am totally new to wood, and working with it. I wanted to do some experiments with making percussion instruments with wood. Could anyone tell me about this or help me with links to understand what wood to use and basics of wood and working with wood. Thanks. Love. I am looking for a wooden base for making string art pieces. The board shall be around 3'x2' and thickness can be 0.5" or so. It wont be bearing any load, in fact it would be hung on the wall. I would need to put around 900-2000 nails (yes!!) in the board in the design pattern of the art. I would prefer to get pre-fab flat boards, but I am averse to plywood per se. I would prefer to stain the wood to bring out the grain, if any, to make it look good, if that becomes necessary. I thought of using the engineering drawing boards (A1 size - 33 " x 23") as an alternative, but I am not sure of the quality of the wood? Any idea what type of wood it is? Otherwise I guess I can use Rubberwood boards. Do I have any other options? I live in Thane city, MH. Manoj, if you planning to make something artistic I would recommend you use wood with interesting grain patterns. Rubberwood can have interesting patterns and if your pieces are going to be just 3x2 inches that would be fine. Perhaps 19mm would be better than 12mm (half an inch). Drawing boards generally use somewhat inferior wood and you are unlikely to get any dramatic patterns. Teak would also be a good choice. I'm new to woodworking and as of now have been practicing carving and shaping using scrap wood I have lying around the house. I was wondering if you could advise me on where I could purchase wood around Delhi that can be used for small diy projects like boxes, stools etc. No worries. Technical difficulties happen. Where would I be able to get pallette wood. Do you have any recommendations for markets or specific shops where I could go? I am novice to wood and timber but i have to design a epoxy resin tables as new startup, which wood do you think is best for this kind of requirement and easily available in delhi? Thanks in advance. Munna, there are many varieties of desi woods but you would ideally need someone to guide you or else you could end up buying useless stuff. Do you provide woodworking classes for beginner? How can I contact with you for classes? I want to make some wooden signboards but have no idea where to get the wooden boards from in Noida. Also what wood is best for these projects. I would like to stain them before use. Thanks in advance. The only place for wood in Noida that I know is Harola market. Kirti Nagar timber market would be a better bet though. For signboards a cheap wood like Pine or even pallet wood would suffice. Both are available in Kirti Nagar. 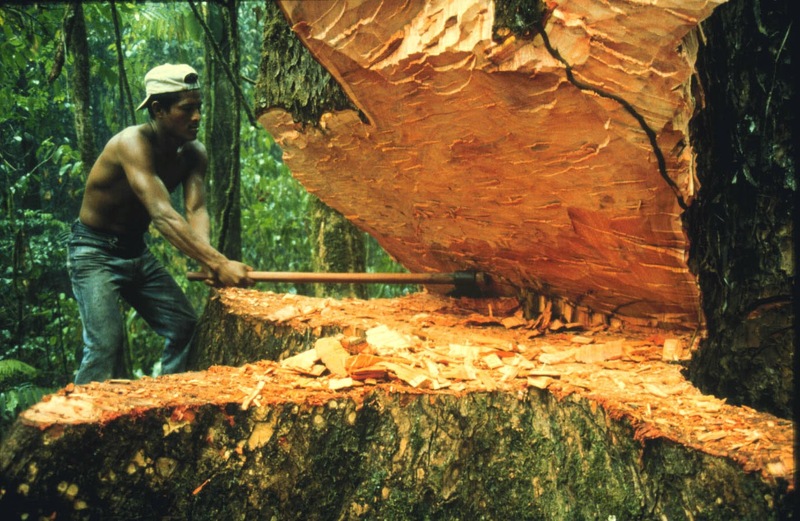 I'm planning to get some furniture using Rosewood (Dalbergia Latifloia). I have a little idea about its quality and price (very expensive). Here in Bangalore, the newer furniture studios like urban ladder and pepperfry actually use Sheesham (sissoo) which they obvioysly get from northern India. The prices they charge here is quite exorbitant when compared to western ghat teak and the actual rosewood. Is it worth to invest huge money on rosewood (latifolia). Herein they its quality is second only to ebony. Whats your take on that?